The Elefant, the first item of the 1/72 Armor Series of model kits was well received by modellers because of its high quality. 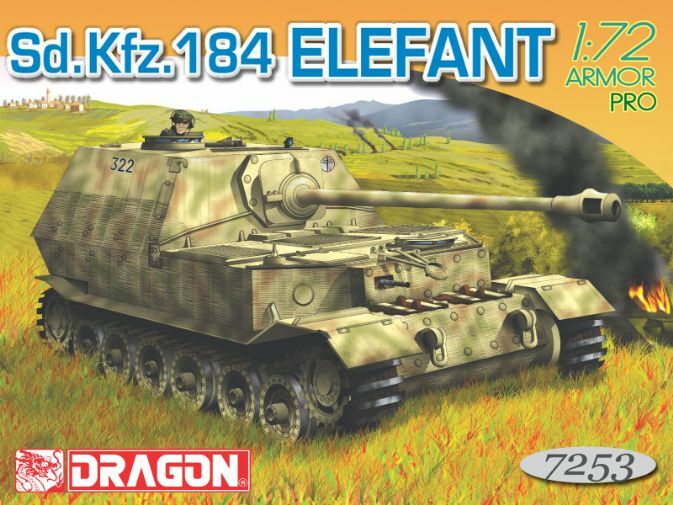 Further to our never ending challenge to provide the highest quality and latest innovations in the industry, we are pleased to announce an up-graded version of a brand new Elefant. DRA 7253- Sd.Kfz. 184 Elefant- is the first release under the new 'Armor Pro Series', a series commited to ultimate detail and accuracy.